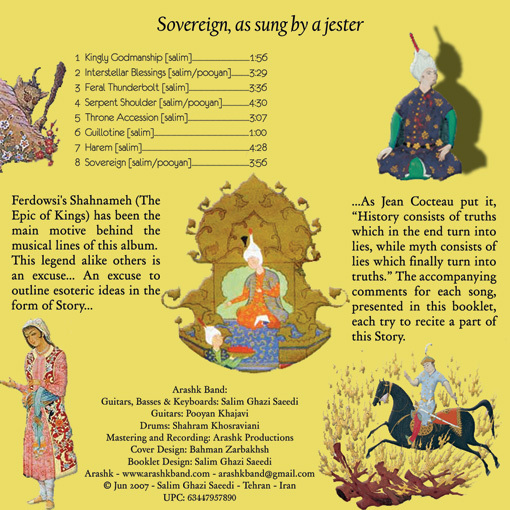 "Sovereign is an instrumental recitation of Shahnameh (The Epic of Kings) i.e. 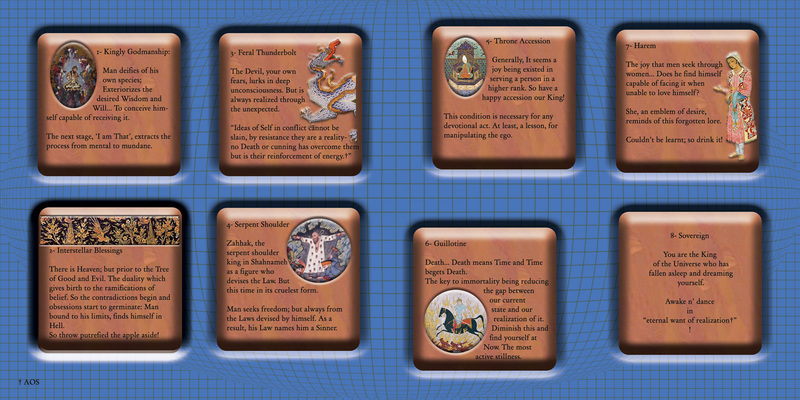 an extensive Persian epic poems written by Ferdowsi (935–1020) as a collection of Persian mythologies. 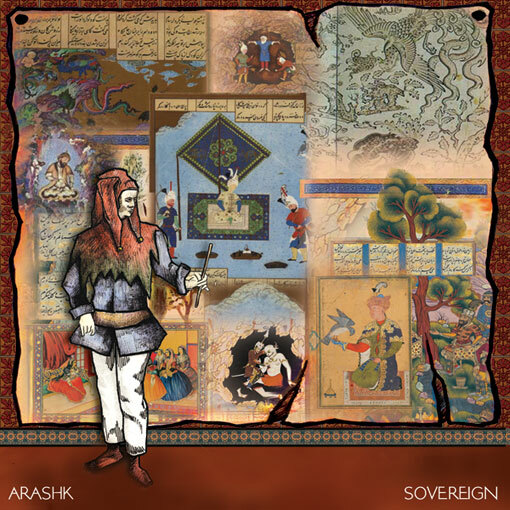 You will find western rock instrumentation with eastern flavor. 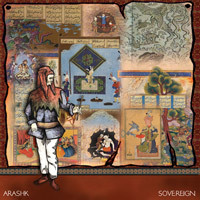 Some songs I think are apt to be adapted for traditional Iranian dance; especially “Sovereign” and “Harem” tracks. I am looking forward choreographic performance adaptation for this work whenever possible. Imagine Iranian “Coffee-house” paintings and belly dance with distorted guitars performing cheerful rhythms… Unusual combination? No, to me that sounds all natural! 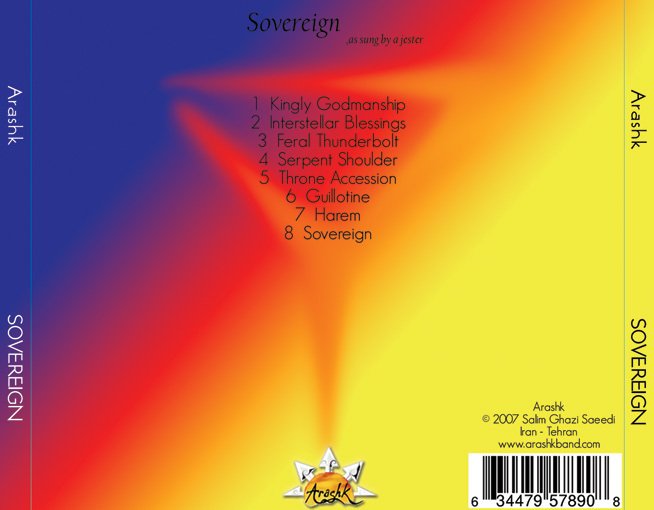 In this album Pouyan contributed to generating some theme ideas for some songs." "Echo of a distant world"
"das Echo einer fernen Welt"
"a blend of eastern sounding traditional music and dark-toned progressive metal with roots more firmly based on Anglo-American traditions"
"a strong feeling of a story explored and told"
"the story of a jester inside an epic of Persian kings"
"The rock base... contaminated by intriguing arabesques"
"Il rock di base... viene contaminato da intriganti arabeschi"
"recommended for lovers of harder variants of progressive rock"
"It would be natural for him to do a belly dancer dancing to the sound of a distorted Stratocaster." "per lui sarebbe naturale fare ballare una danzatrice del ventre al suono di una Stratocaster distorta."